Thanks @manutremo . Will give it a try, and use your sample sktetch. Just to get things right, you mean just keep the "fork"? Any documentation on the HW setup, or just a 10k resistor? Thanks for the answers, not sure if I am closer to a solution. I am using digital output from the sensor according the the Mysensors description. Is it recommended to use analog output, if so, are there any sketches I can use "out-of-the-box"? I have a FC28 sensor, not a YL-sensor mentioned above. I have a straight forward MySensor setup with a soil moisture sensor. I am currently at a trail and error stage, but plan to impement this in my green house for seasoning plants. Problem is I get strange readings in Domoticz. Very little difference in the readings between the dry and wet soil. Also the readings varies a lot. Is it normal with this variation and little difference between wet and dry? The sketch is the standard MySensor code described in the build-section of this site. RE: Move MySensor nodes between controllers? Will not connect to gateway. MySensor configuration btw is standard, no changes to standard config. 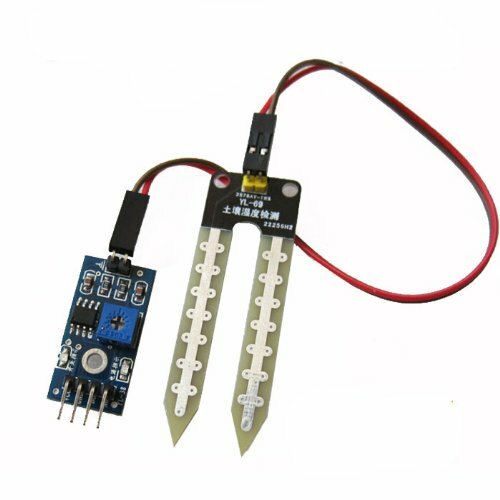 Move MySensor nodes between controllers? Hi all. I have a Raspberry / Domoticz setup at home and one at my summer house. I have used the home set up as a test lab. When the MySensors nodes work as intended I take them to the summer house, I don't have that much time for programming, soldering and trial and error during weekends. However, few nodes seem to connect to the MySensors network at my summer house. I'm using the same versions of MySensors, Domoticz etc both places. Are there any IDs or something which is "hard linked" to the home setup somehow and therefore refuses them to connect to the other installation? @sundberg84 Thanks for your response. I am using an Arduino Nano connected to a RPI II (serial gateway). Using the sketch and have followed the guidelines in the build section here. No modifications in the serial sketch settings or configuration - using standard setup. I have a few other nodes up and running (light sensors, temp and humidity sensors) working perfectly. I try to get a atm pressure sensor to work together with a 2.0 gateway. I use the standard sketch in the demo site (https://www.mysensors.org/build/pressure) but get error messages. Is this sketch not compatible with MyS 2.0?